Synopsis: The Doctor finds himself on an island... of death! It's finally happened. Somebody has made the perfect generic Doctor Who novel. There is not a trace of anything, anything at all original anywhere in this entire book, from start to finish -- it is in its entirety, a Frankensteinian assemblage of bits taken from other Doctor Who novels and badly stitched together. It lurches to a grotesque parody of life, shambles around for a while, and then realizes it has no point or purpose and gives up. I honestly can't think of a single nice thing to say about this, at all, anywhere. Every single one of the regular characters has been reduced to a one-dimensional, slightly brain-damaged caricature of themselves. The plot stops on page 50 and doesn't pick up again until page 200, and even then, it's got one beat and no twists. The writing would insult the intelligence of an eight-year old, and if you took the exclamation mark off of Barry Letts' keyboard, he'd have no idea how to end a sentence. Jeremy Fitzoliver turns in his absolutely most irritating appearance, a major feat for the character, and realistically speaking, criticizing any of the rest of the story would assume that there's a story to be criticized. It's not even interestingly bad, like Divided Loyalties. It's a damp squib. Buy it only if you're a sad completist like me, read it only if you're a masochist like me as well. Admittedly then there's light at the end of the tunnel with Simon Guerrier and Andrew Cartmel, but that's not until frickin' November. Is this some kind of joke? And they wondered why people had stopped reading the PDAs! In fact Island of Death isn't so bad, but I mean that in a "I was also generous to The Ghosts of N-Space" way. Frankly half the damage was done when people saw the author line-up. On the downside, that plot is shockingly dull. If I were a schoolmaster grading an essay, I'd be comparing it to the kind of offering that manages little more than getting its words out one after another without spelling mistakes. Our heroes barely interact with their foes, to the point where at the climax I was afraid that the villains would defeat themselves without any intervention from the Doctor at all. In the end it's not quite that bad, but it's bloody close. The Doctor waves some far-too-convenient technobabble and that's it. The end. His developing relationship with the villains' matriarch? Never went anywhere. The Brigadier and his men? They get to watch. There's one good thing about this book, but it's the same thing I liked about Barry's bit of Deadly Reunion. Being about fifty years older than almost everyone else currently writing Doctor Who, Barry's authentically of the Brigadier's generation. (Even Terrance Dicks is younger.) He knows about National Service, serving in the Navy and so on. When he writes about it, you believe him. In Deadly Reunion he showed us the Greek islands, while here we get a quick flash of India. Frankly it saves the book. After eighty-odd pages of crap I was practically comatose, but then the TARDIS crew took to the seas on HMS Hallaton and the book came alive. Unfortunately my interest subsided when they reached their destination... truly, in Island of Death it is better to travel hopefully than to arrive. It doesn't often happen, but for once I get the impression that an author has been reading his reviews. That's admirable, but I'm slightly startled by how blatantly Barry's recycled the best aspect of his previous work. Pulling exactly the same trick twice... okay, I'll let you off this time. No more, please. Other things suggest conscious self-correction. I applaud the lack of supernatural tosh, though it would have helped if the sci-fi elements we get instead were even slightly interesting. Unfortunately there's also Jeremy, who's the book's worst failing. Frankly it's rather embarrassing. After happily introducing the character in Paradise of Death and perhaps hoping that we'd love him, Barry has clearly come around to the majority opinion that Jeremy Fitzoliver is a waste of printers' ink. In this book he's not even a bad joke. He's a paper-thin mama's boy, not even written with enough enthusiasm to be worth hating. So why's he here? He has a plot role, yes, but of all people shouldn't the character's original creator show some interest in the poor guy? Arguably it works quite well as foreshadowing for a certain Gary Russell novel, but that's no excuse. It doesn't help that even when written properly, Jeremy was the most tired stereotype in English-language fiction. Surprisingly the other regulars aren't much better. The Brigadier comes off best, getting a couple of good moments. The Doctor's okay, but he needs to dazzle to justify the existence of nonsense like this. I was disappointed. Barry's done better. However Sarah-Jane is just flat-out wrong, a giggly idiot who'd have worked better if search-and-replaced into Jo Grant. Worse yet, her point-of-view chapters carry much of the book and anyone who doesn't like Barry's version of her is in for a long slog. There are Signals From Fred. p101 [the Brigadier] - "He heard himself clearing his throat in a sort of 'Harrumph!' Good God! He was turning into a real Colonel Blimp!" p258 [Sarah] - "(and she didn't give a toss if that was a cliche)." Authors should listen to their word processors. They might also want to give more thought to battle tactics. In Paradise of Death, the Brigadier mysteriously took Jeremy into battle because... well, because he was the companion and Barry hadn't considered that he wouldn't. In Island of Death, exactly the same happens with Sarah except that in addition she's been given one of five vital pieces of equipment that should rightly have gone to a man with a gun. Silly observation... does Barry Letts read Victor Mollo? If Mr Papadopoulos (p56) was mayhap christened Themistocles, does that mean we can expect to meet the Hideous Hog and Rueful Rabbit? Overall, this is the kind of mediocrity that these days I tend to end up half-heartedly praising. Island of Death reaches a certain level of competence, but it's less entertaining than Paradise of Death and less interesting and memorable than The Ghosts of N-Space. Shockingly though, it may well end up being the best of the four PDAs I mentioned at the start of this review (Boucher, Letts, Russell, Dicks). Given the author's name, it mostly meets and perhaps slightly exceeds expectations. Good old Barry Letts. For far too long now we have been inundated with seriously dull titles for our Doctor Who stories. Look at the TV series this year. Rose. How exciting. The Long Game. Yawn. Bad Wolf. Stop it, I might pee myself with anticipation. What about the books... The Gallifrey Chronicles (if there was ever a book to have a less inspiring title you let me know). Match of the Day (ooh, a book about footie!). Winner Takes All (who cares?). Even Big Finish have been lacking. Three's a Crowd, Catch-1782, The Game... I shan't try and be witty with these titles as it would be a waste of talent (ooh ego). What has happened to the good old campy Doctor Who titles? Terror of the Zygons! The Ice Warriors! The Android Invasion! Thank God we still have old hacks like Barry Letts on board and this time he has thought up a real humdinger... Island of Death! Who wouldn't want to read a book with that title? Island of Death, man! Even if it was by the same writer who gave us The Ghosts of N-Space you wouldn't care... Island of Death as an appetite whetter just rocks! Unfortunately this is one of the ugliest written Doctor Who books ever. Barry Letts just cannot write prose to save his life and it doesn't matter if his ideas are shatteringly original (which they are not) or the plot is ohmiGodElisabethSladenisgoingtobeinseasontwo exciting (which it isn't), if the book doesn't read well you have lost the battle. Island of Death is chock-a-block full of horrible, unreadable sentences that left me gagging at the sheer incomprehensibility of them. I was always distracted away from what was going on because I was trying so hard to understand exactly what I was being told. This was particularly hard during the sailing scenes where Letts goes off down memory lane and starts dissecting the ship from port to stern and explaining every little rivet along the way. The only people who will get anything from these scenes are sailors or those who are on a cruise so they can check that Letts knows what he is talking about. For the everyday layman (ie me) it is just dull old nautical facts. The book also tries far too hard to give its characters personality and is full of internal exclamations. Just like this! And this! Godammit! Sarah is particularly guilty in this regard and the Brig even starts getting in on the action during the tenser moments. Golly blast! I could imagine them mentally thumping a table every time they had one of these thoughts, dagnammit! And worse of all is how the characters keep remembering their pasts, like Mr Letts is trying to build up a picture of who these people are but cannot find any other way of doing so but have them recall what Granny told them once or comparing something to what Mama used to do or maybe just recalling their own illustrious career so far. At times the Brigadier reads like a list of military facts rather than a person and he doesn't seem to be able to manage anything without his usual motley UNIT gang. It feels horribly forced, Letts is telling you these people have had past rather than revealing it through the plot. I'm afraid the plot is hardly inspiring either. A demon-worshipping cult? Cor, that's original, how long it take you to think up that one?  It wouldn't matter so much if perhaps the book bothered to examine the cult in any great depth but the entire first half of the book is taken up by an extremely protracted chase sequence (so just like the Pertwee era there then) and features the heroes of the book guessing about the whole ghastly setup. Besides any book, which threatens to get rid of Jeremy Fitzoliver, should be an open and shut case surely? He's gone. Gobbled up by a demon-worshipping cult. Let's throw a party. The end. What made this book almost bearable were the magical moments Letts scatters about every now and again that remind you that his head might still be in the game. I loved the funny business in the TARDIS early on, it reminded me of The War Games in all the best ways. And there was a fabulous scene with the Doctor and Sarah awaiting rescue looking up at the stars. Even Lethbridge-Stewart comes up trumps when he punches out one of the sailors. But these special moments do not crop up enough to take my mind away from the woeful mischaracterization and terrible dialogue. I do appreciate that Sarah is treated as a working girl, so many writers forget that this is the ideal "on Earth" companion because of her journalism background and Letts forcibly reminds us here that during her first year on the show she was still living a normal life, earning a wage and only helping out the Doctor part time. But some of the lines Letts gives Sarah are shockingly bad, as though she was some kind of cockney wideboy. Without Elisabeth Sladen on board to make his dialogue sound plausible (and let's face it, she could make any dialogue sound okay, she even got through Revenge of the Cybermen unscathed... just!) Sarah reads like an amateurish, melodramatic flapper, one who is shoehorned into the role of the useless victim. Unforgivable. The Doctor is even worse though, a far cry from the dignified gentlemen Pertwee used to play and this is an unfair interpretation of Letts' own Doctor. The tension with the Brigadier had all but vanished come season eleven so why do they squabble throughout like a pair of naughty schoolboys? Why does the Doctor spout nothing but technobabble, sounding as though he has swallowed a textbook for half the novel? The third Doctor was always in control during his stories but he stands at the periphery of Island of Death and remains redundant until the climax. And I know Lethbridge-Stewart could be something of a buffoon at times but he was never as idiotically naive as he is during stages of this book. When he is treated to a tour of a picturesque island he is utterly convinced that the Skang cult is all above board. If anything was going to convince they were up to know good it would be this kind of squeaky-clean behaviour! The sad truth is, it doesn't look as if Letts has changed his storytelling techniques at all in thirty odd years since he was the producer of the show. Terrance Dicks can get away with it because his writing is so energetic and his characterisation spot on but this type of cliched rubbish was out of fashion in the seventies and I cannot imagine anyone enjoying the simplistic and deathly slow plot of Island of Death in 2005. If Justin Richards was trying to kill of the PDAs this would be the way to go, with Gary Russell up next, I can only imagine things will keep going downhill (although I live in hope that Gary Russell has one truly fabulous Doctor Who novel in him). It also looks as if Letts has not read up on any of the criticisms on his previous work because he is making the same mistakes that he did with Virgin. If you are going to work with these kinds of stereotypes you have to do something fun with them. Or take the piss out of them. But Island of Death is a deadly serious novel and that is the final nail in the coffin. There are very few flashes of humour and the whole thing reads like a strained lecture. Remember kiddies don't go joining any demon-worshipping cults now! Action must be taken. Being generous this book would scrape a barely acceptable and I'm afraid in this day and age (where there is so much more Doctor Who merchandise available) that just isn't good enough. Obviously being on DVD, and helping to write Deadly Reunion has inspired Barry Letts to try the Terrance Dicks track of churning out novels, being ensured of getting published because of his status of being a Doctor Who bigwig... but that's not to say that is the reason he got published, and it might be because Barry Letts can actually turn a good word... but can he? Looking to his first solo Doctor Who work since novelising his audio plays, we find out that this is what the navy life was like for Barry Letts. Certainly it made an impression on him (in fact, the Brigadier spent some time in Barry Letts' half of Deadly Reunion on a boat as well), and it can't help but make an impression on us as well. Why's that? Oh, maybe because most of the book is spent on a boat as it sails from one port to another. We are treated to descriptions of life on board, the ship in the ocean waves, the excitement of watching someone consult a chart... this certainly isn't the first book to spend a large part of the story traveling from one point to another (say 'hello' Eye of Heaven, which also used a boat), but that so much time is spent on board just shows up how much little plot there was to go around. Ah, but who needs a decent plot when you have decent characterisation? And given that he was The Man back in the day, who better to get it right? I have to give Barry Letts one thing: they are indeed called the Doctor, Sarah Jane Smith and Brigadier Lethbridge-Stewart, and they are, in order, an alien scientist, a journalist, and a soldier. But despite the large amount of time we spend with them, they just don't feel like the crew we knew back in Season 11. Since when is the Brig such an alcoholic? Since when did the Doctor try to talk to animals? Since when did Sarah Jane actually take photographs? And did Jeremy ever have a personality? Yep, that's right. Jeremy Fitzoliver, beloved character (by Letts at least) from Letts' two radio plays The Ghosts Of N-Space and The Paradise of Death (and you'll better have heard them because they get referenced more than once in this book). In here, he's more 'spoiled rich kid' than ever... but that was about it. Even an entire book doesn't help make him even one-dimensional. Not that the other characters fair much better. I had trouble working out who was who on the boat, and the only two names I can remember of the 'baddies' are Hilda and Alex, meaning at least they had an impact, although the only descriptions of them that stick in my mind are 'uselessly kind' and 'stupidly ambitious', as the events of the book show them to be. If Letts does return for another outing, I'm predicting it'll involve a long segment set on a ship, and long drawn-out events that don't really go anywhere. Certainly has proved to be a working formula so far.